After 30 years in the corporate world of wines and spirits, Mark Ridgwell launched Taste and Flavour to encourage spirits enthusiasts to share and develop their passion and knowledge. As a leader in the field of spirits education, he shares his views on what has held the industry back to date and how to inspire a fruitful future. In 1999 you set up your company, Taste and Flavour. What inspired you to start the business and what does it aim to achieve? Taste and Flavour aims to encourage those in the spirits industry, like their colleagues in wine, to recognise spirits more as products of nature, to be enjoyed for their history, variety and complexity, what I call their product realities versus their brand values. 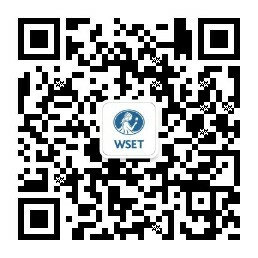 As a WSET Educator, you have taught some of the industry’s leading professionals. How important a role does education play in an individual’s success in the spirits world? Thanks to the media and excessive taxes many consumers view spirits with prejudice but for most buyers they represent luxury brands. Knowledge and advice beyond brand marketing from the professionals who sell them will be key to their customers’ enjoyment and discovery. An occasional glass will become a regular choice, a bad experience in the past will transform into a rewarding discovery. My book aims to entertain and inspire more bartenders and retailers to become the mentors and guides to encourage more people to drink and experiment with spirits. Your book Spirits Distilled is celebrated as a must-read for any enthusiast or professional. What do you think has made it such a valuable reference? Unlike wines, spirits have contributed to the social history of the world and many remain the responsibility of families, exclusive to certain countries and even small communities. Knowledge of their stories, combined with the production and climatic reasons for their enormous variety, can turn any drink into a memorable drinking experience. With the world full of bias against spirits, my book aims to entertain and inspire more bartenders and retailers to become the mentors and guides to encourage more people to drink and experiment with spirits. Mark Ridgwell presenting at Hotelympia 2016. Photo by CLH News. What do you think are the biggest challenges faced by spirits professionals today? How can they prepare to overcome them? One of the biggest challenges is ignorance of spirits. Bad publicity, perceived higher alcohol intake with spirits and penal taxation work together to generate prejudice and suspicion, to make wine the romantic and social choice and spirits the answer to those simply wanting an alcoholic hit. In your 50 years in the world of wines and spirits, what in your experience has been the most noticeable change in the industry? What change would you most like to see? Bars have brought glamour back to spirits and these bars plus many pubs and retailers now stock a tremendous choice thanks to the creativity of so many distillers. However, this choice can be too much for many. Those selling spirits need to embrace knowledge and, like their colleagues in wine, recognise that sharing their product knowledge will move purchases, otherwise reliant upon fashion values, to regular and rewarding drinking experiences and confident recommendation to others. In terms of the change I would like to see, it would be a great change for licensing laws to permit one measure to be sold in split units to facilitate the ability for consumers to trial different spirits.